Tom has earned the Certified General credential in 1995 from Nebraska Real Property Appraiser Board, and is a qualified Appraisal Trainee Supervisor. Tom is also a Certified General Appraiser in the state of Iowa. Tom is qualified to perform appraisals in conformance with the Uniform Standards of Professional Appraisal Practice (USPAP), as well as the Uniform Appraisal Standards for Federal Land Acquisition (UASFLA). Tom is also a qualified review appraiser having completed reviews for several public agencies, private clients, as well as the Nebraska Real Property Appraiser Board, Tom earned a Broker License in 2007 from the Nebraska Real Estate Commission, and currently is the sole member of TASK Real Estate, LLC, a real estate brokerage firm located in Lincoln, NE. Tom has earned the MAI designation in 2002 from the Appraisal Institute, a professional designation held by over 1,000 professional appraisers world-wide, but less than 25 located in the State of Nebraska. Tom has also earned the CCIM (Certified Commercial Investment Member) designation in 2006 from the CCIM Institute, a credential conferred on over 13,000 commercial real estate practitioners. Tom has been an Appraiser Member of the Realtors Association of Lincoln –REALTOR® since 2003, and is a current member of the State Chapter and National Association of Realtors. Tom is also a member of the Midlands Multiple Listing Service. Tom previously served on the Nebraska Real Property Appraiser Board as the 1st Congressional District representative. Originally appointed by Governor Dave Heinemann in 2011, Tom served from 2011 to 2015, serving as Chair in 2015, and Vice Chair in 2014 and 2013. During his time on the Board, Tom was also a member of the Association of Appraisal Regulatory Officials (AARO) and also testified on behalf of the Board in committee meetings of the Nebraska Legislature. Tom has extensive experience as an expert witness for both public entities as well as private clients. Having previously testified in District and County Courts, as well as in court mediation, Tom has also functioned as an expert for the U.S. Department of Justice. Tom is qualified to perform appraisals in conformance with the Uniform Appraisal Standards for Federal Land Acquisition (Yellow Book) having most recently taken the required education in 2017. Tom Kubert has completed the continuing education program of the Appraisal Institute and the State of Nebraska. Tom earned the County Assessor/Deputy Assessor Certification in 2012 from the Nebraska Department of Revenue Property Assessment Division and is qualified to perform the duties of the County Assessor or Deputy Assessor within the State of Nebraska. Tom has also functioned as the Referee Coordinator for the Lancaster County Board of Equalization since 2005, and has extensive experience in testifying at the Nebraska Tax Equalization Review Commission (TERC). Tom is currently an approved appraiser for work related to public projects under the jurisdiction of the Nebraska Department of Transportation- Right of Way Division. 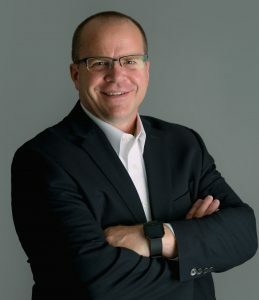 Tom has previously served on the Board of Directors of the Nebraska Chapter of the Appraisal Institute from 2009-2004, Vice-President in 2004, and President in 2005. Tom has also served this organization as a state representative at regional and national meetings. Tom currently serves on the Board of Directors of Mainstreet Bank, located in Cook, NE. Tom is a graduate of the University of Nebraska-Lincoln with a Bachelor of Science degree in Business Administration. Tom volunteers in the local community in the Teammates® program, Heartland Big Brother and Big Sisters, as well as serving in various volunteer capacities within the leadership of St. Mark’s Methodist Church.